All broadband speed is not created equal. That is made abundantly clear in this map created by Reddit user dman9797. 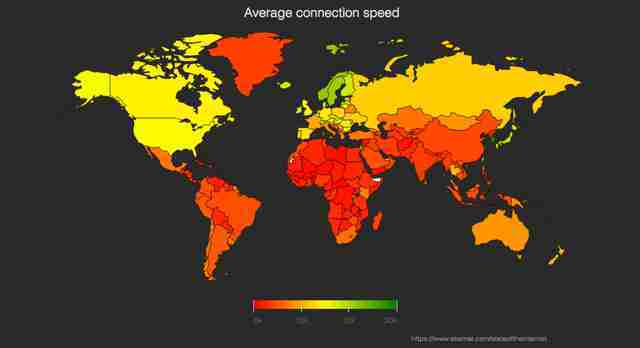 The map provides a quick look at how the average (mean) broadband speed in countries around the world stack up. At the top of the list is Hong Kong, with an average speed of 80 megabits per second (Mbps). Also sitting near the top of the list are Japan, South Korea, Sweden, Romania, the Netherlands, Switzerland, Finland, and Norway. The United States ranks 30th with a mean connection speed of 24 Mbps. The data is pulled from Speedtest.net, a site that allows users to test the broadband speed from whatever network they're connected to. That makes this a self-selecting sample, and compared to other studies, it seems like this sample may be from groups with slightly faster internet. That makes some sense, since faster internet gets expensive, and people paying for a higher speed may regularly test to check that speed. They maybe don't remember how long it used to take to download a single song from Napster. Be thankful you aren't on 56K with the specter of Dad picking up the phone and starting to dial, ruining 14 hours spent trying to download that Carlos Santana song from the radio. Further to that point, Akamai's most recent report has the United States with an average speed of 15.3 Mbps, significantly lower than the 24 Mbps found through Speedtest.net. Nonetheless, the rankings seem to stack up, and the speeds seen here are significant improvements over past years. Akamai's 2016 State of the Internet report says that globally, average connection speeds are up 23 percent over the prior year. 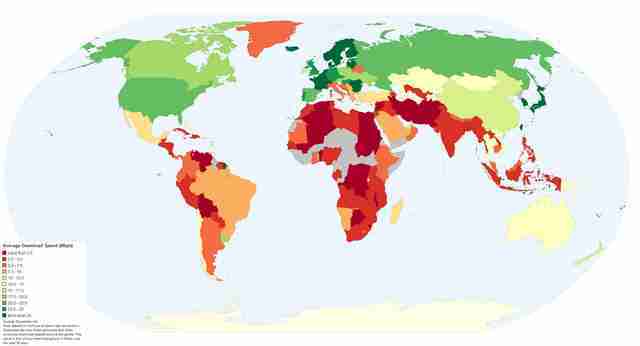 That's partly due to good news for the developing nations, like Kenya, where the average speed has climbed over 200 percent. 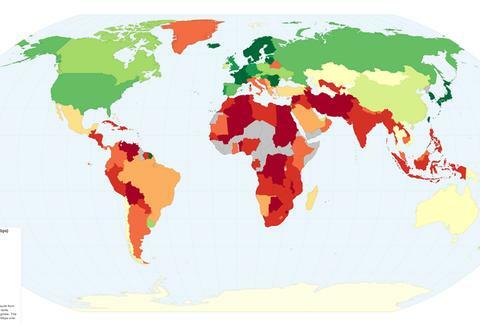 Below, get a look at a similar map, but built with numbers from the Akamai report.